As a company providing full-service environmental consulting and engineering services, Terracon is often asked to assist clients with safely meeting their regulatory obligations related to the release of contaminants at their business sites. The work can include: 1) site investigation, 2) remedial design, and 3) implementation of a remediation plan. While environmental regulatory requirements can focus the direction of site investigation and remedial activities, Terracon prides itself on understanding the underlying business interests of clients and crafting an investigative and remedial strategy that meets their business needs within the regulatory framework. 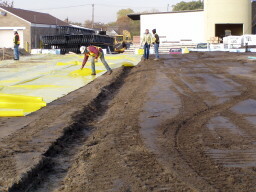 Closure strategies that achieve both goals may include identifying and remediating the release to a point of restoration, thus removing all contamination to pre-release levels, or providing in-place management of impacted media (soil, groundwater, surface water, subsurface vapor) with longer-term management obligations. During the site investigation process, the Terracon team collects data to identify contaminants that need to be addressed and their concentrations, determines the extent and magnitude of the release, and veri?es the affected media. This information is obtained through the installation of soil borings and wells and the collection of soil, groundwater, and/or subsurface vapor samples. The contaminant concentrations are compared to applicable regulatory limits to determine if remedial action is needed to address the identi?ed impacts. When crafting a closure strategy, additional considerations include site planning, site limitations that affect remedial selection, budget constraints, and desired time frames. These considerations yield a holistic understanding of the intended use that allows the team to provide timely, ef?cient, and effective recommendations. Terracon works with clients to develop a remediation plan that addresses their goals and meets environmental requirements. The team presents the plan to the necessary regulatory bodies for approval. An important aspect of achieving regulatory closure is being able to measure the success of a remedial action. Once the regulatory agencies have approved the plan, all parties have a vision of the direction the project will take toward closure, including success measurement criteria. The following examples illustrate Terracon’s approach to the remedial action strategy process. A Terracon client operated a lumberyard which formerly had wood treatment operations with pentachlorophenol in a fuel oil carrier. The site investigation identi?ed a treated wood drip pad area with signi?cant soil and groundwater impact. The client intended to continue operations at the site; therefore, a long-term solution was desired to achieve this goal while also obtaining closure. One potential solution included using an excavation option, but was projected to have a seven-?gure cost. Additionally, the remedial operations would disrupt continuity of the client’s on-site operations, further affecting cost. Terracon recommended an alternative solution which included in-place management of impacts with an engineered cover and long-term monitoring. The plan was designed, approved, and implemented to minimize disruption of the client’s on-site operations. This solution yielded a safe, successful regulatory closure without impeding ongoing business operations. In another instance, a former manufacturing site had a signi?cant chlorinated solvent release impacting soil and groundwater. The owner was attempting to sell the property and was interested in a timely site closure to facilitate the sale. 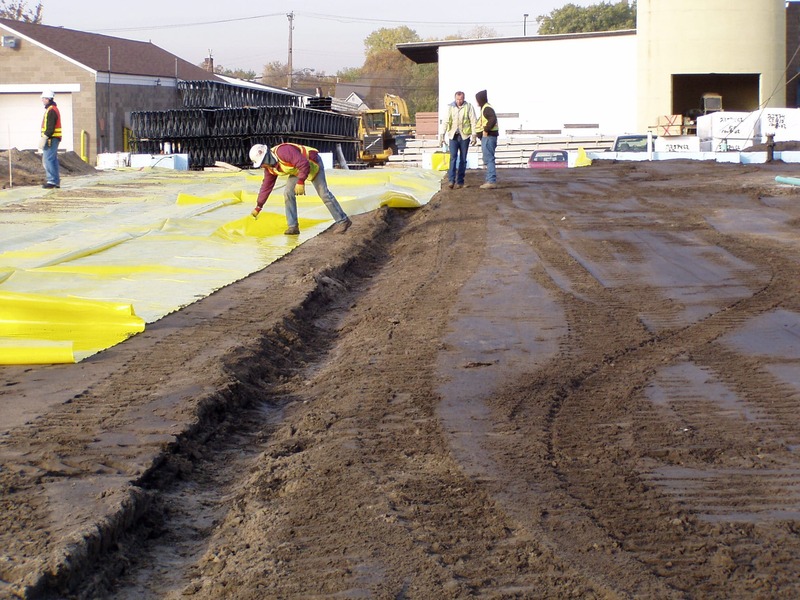 Terracon developed and implemented a solution using electrical resistive heating to treat highly impacted areas of soil and a sub-slab vapor depressurization system beneath the site building as along-term engineering control. This resolution treated the soil to a concentration below the regulatory limit in a rapid time frame, accelerating site closure. The remedial strategy required a larger capital investment, but the site achieved closure and the sale was completed successfully. Regulatory closure can take many forms, and Terracon works with clients to develop strategies tailored to meet their individual business goals. By understanding these goals early in project planning, Terracon can develop a site investigation and remedial action strategy leading to successful resolution of environmental issues and also meet clients’ business goals.